VIKAN has introduced a new 280mm long Powder Brush, ideal for sweeping fine powders, flour, grains, seeds and dust, particularly on bench tops, with an ergonomic hand grip, and a hole for hanging. It is available in five colours from WR & D Wells , and can be washed at 130°C. The Vikan Baker’s Brush has been upgraded with an ergonomic handle, and is available with soft bristle or medium bristle. Both brushes are available in five colours (green, blue, red, white and yellow) with the soft also available in black. 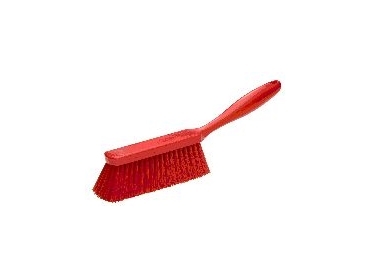 These soft brushes add to the large range of cleaning tools in the Vikan Hygiene System colour-coded range.